Two bedroom suite with double bed and 3 single beds, bathroom with bath and shower. Room with 1 double bed and 1 single bed or 3 single beds. This small, beautiful house, renewed into a hotel from a typical venetian villa of the beginning of the ‘900 century , wilL welcome you in a warm and friendly atmosphere.Its advantageous strategic position towards Venice as well the quietness of the residential area in which our house is located make Hotel Kappa a good starting point to visit Venice. Prices are based on breakfast included. Centrally located in historic centre of Mestre in the main square of Carpenedo. 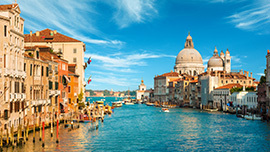 Piazza Ferretto, Porto Marghera, Venice Marina, Papadopoli, Ca’ d’Oro, Rialto Bridge, San Polo, Grand Canal, Palazzo Grassi, La Fenice, Procuratie Vecchie, Basilica San Marco. 20 mins transfer from Venice (VCE) Marco Polo Airport. The hotel has full non-alcoholic Halal Atmosphere and all food within hotel premises is halal. The hotel also offers halal buffet breakfast. Deira city center Shopping Mall, Entertainment and leisure centers. 10 minutes distance from Dubai International Airport. If cancelled or modified up to 3 days before check-in date, no fee will be charged. If cancelled or modified later, 100% of price will be charged.